This is meant to be a quick and effective workout that can be built upon by adding extra rounds of the circuit as you please. To start this should be done in three rounds. Ideally each exercise should be done with 10 reps per set. Once that is easy add a time limit. Try to get all 30 reps of each exercise done in 12 minutes. Once you can do that add an extra round making the goal a total of 40 repetitions per exercise. A great goal would be to get 50 repetitions of each exercise (ideally in 5 rounds) in a total of 25 minutes total. These can be done with three different grips as pictured. A fore-grip, a reverse grip, and a neutral grip. Try to use a different grip for each round of the circuit. This way all the muscles being used will be activated slightly differently each time giving them a better total workout. Before each pull up set your shoulders, then pull yourself up while trying to pull your shoulder blades down and to the center of your back. 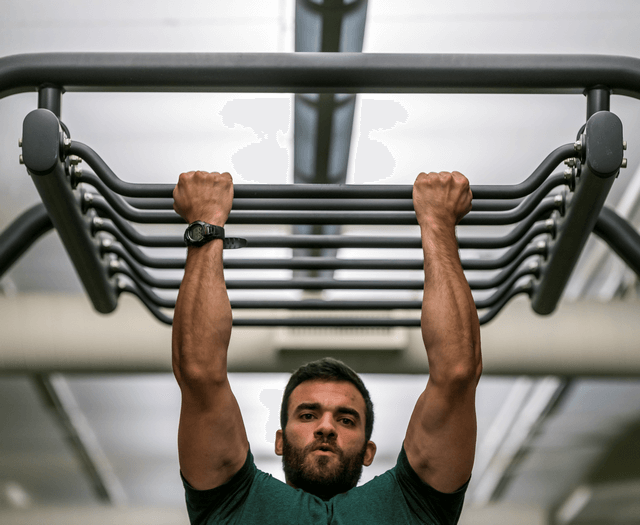 If you cannot yet do a full pull up by yourself, use an assisted pull up machine. Place your feet on a platform that will elevate your feet so when you are in the starting position your body will be parallel to the ground. Place your hands under your shoulders. Proceed to do push-ups. 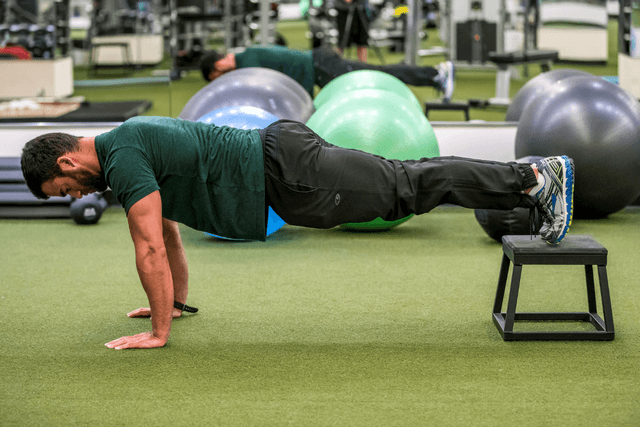 If you are not comfortable doing these pushups you can do them with your feet on the ground. If this is still too difficult at this stage in your training, do modified push-ups from your knees. Stand in a good squat position with your feet about shoulder width apart and toes pointed slightly outward. Hold the dumbbells so they are resting on your shoulders. Lower into a deep squat while keeping your weight on your heels then stand up pressing through your heels. 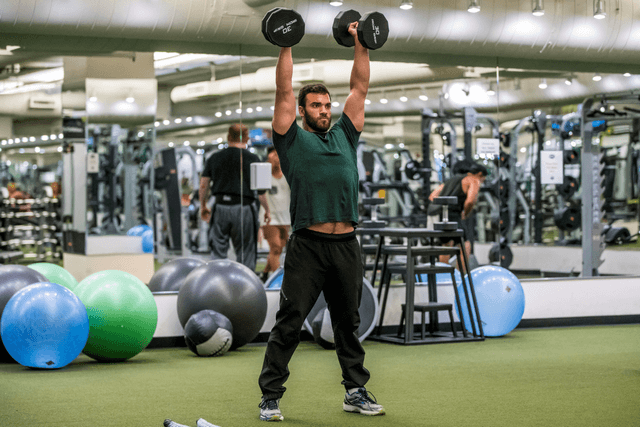 As you are standing push the dumbbells straight up over your head until your arms are fully extended. 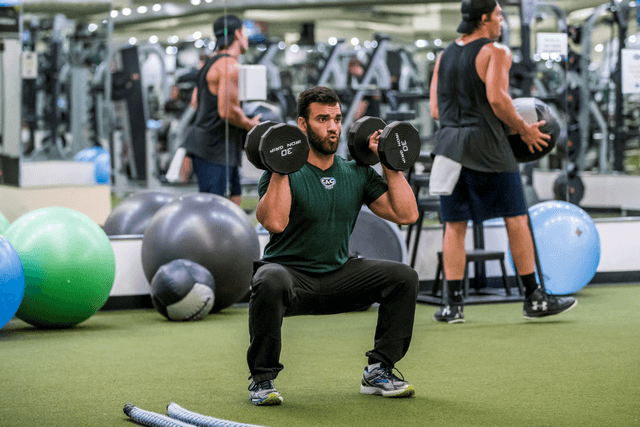 As you are lowering yourself into another squat lower the dumbbells to your shoulders. Stanley Dayan is a trainer at Webster Place. To learn more and to schedule a session with him click here.